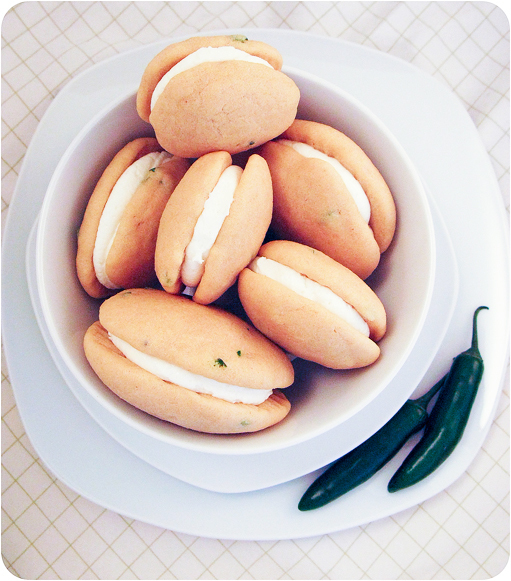 Jalapeno Cornbread Whoopie Pies with Honey Buttercream | Raptor Toe - Food, Baking, Fun. 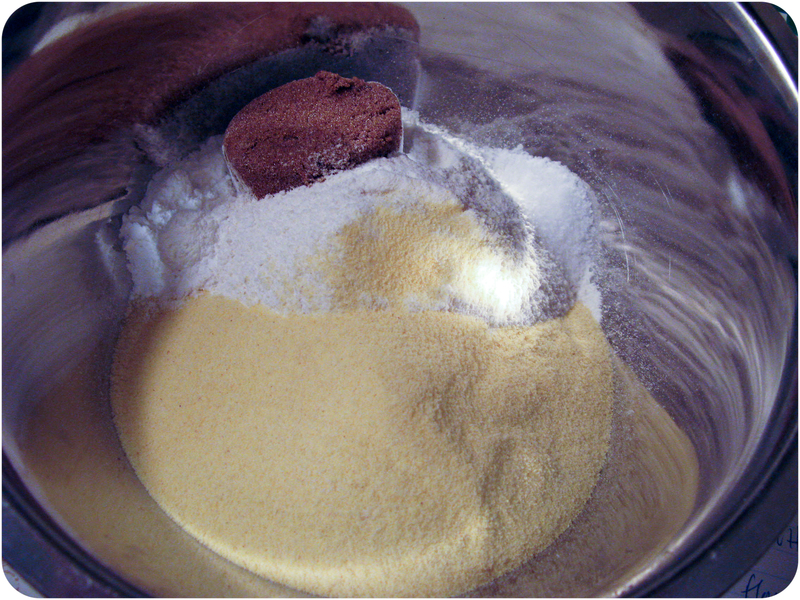 In a separate bowl, mix flour, cornmeal, brown sugar, baking powder and salt. Set aside! 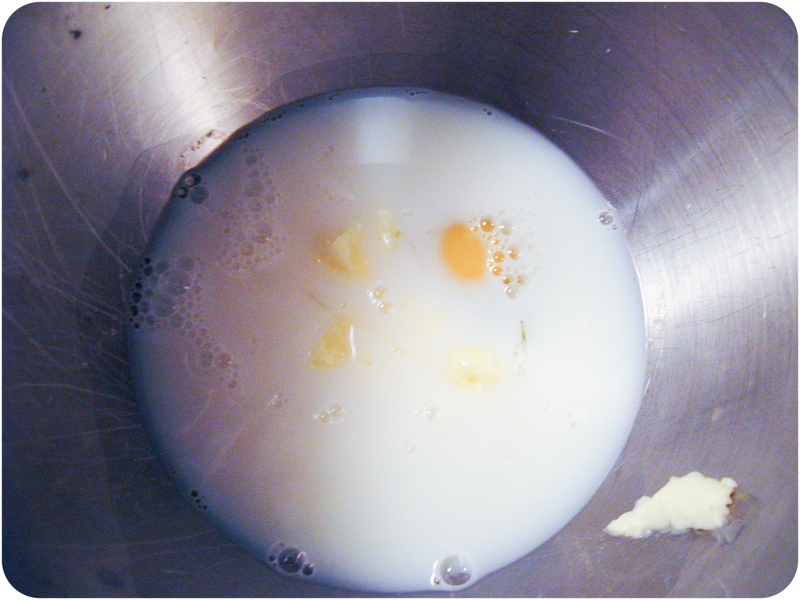 In a standing mixer, add buttermilk, butter and egg. Mix until combined. 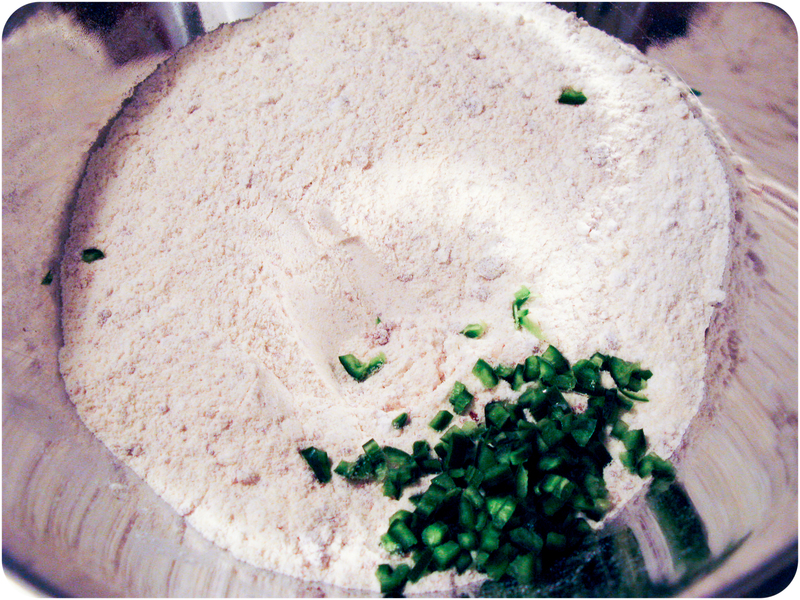 Take flour mixture and jalapenos, and mix with wet ingredients using the paddle attachment, just until combined. Should look a little something like this. 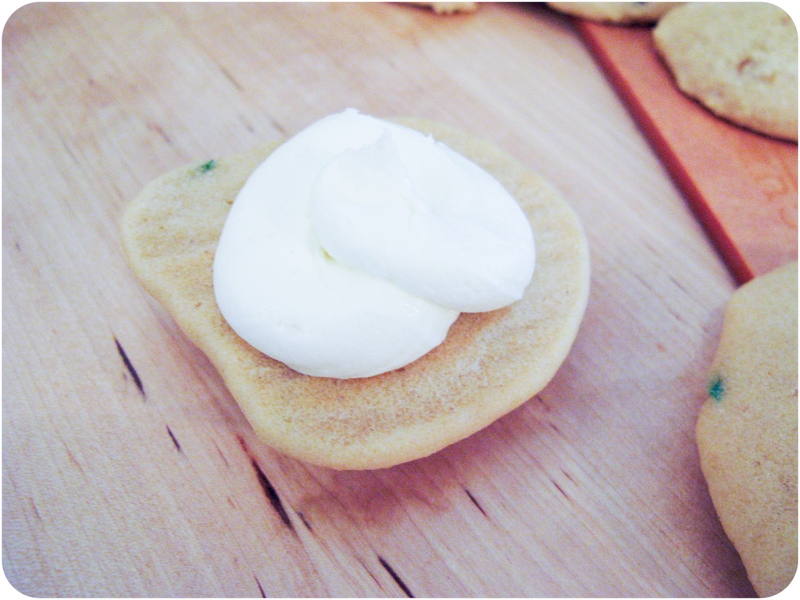 On parchment lined baking sheets, using spoons or a cookie scoop, make 1tbsp sized dollops. Try to make them as circular as you can. 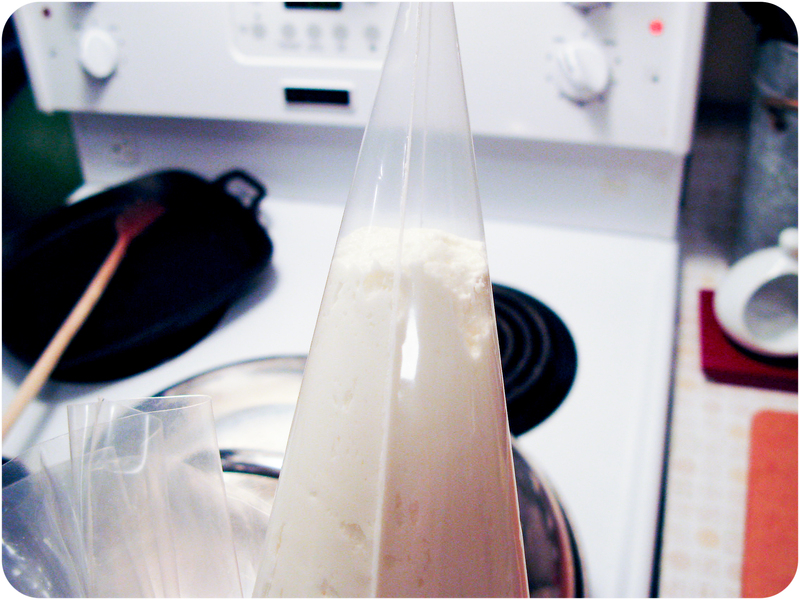 If your batter seems too thick add a bit more milk. Should be between cake and cookie consistency. You want them to spread a bit to get an even shape, but not too much. 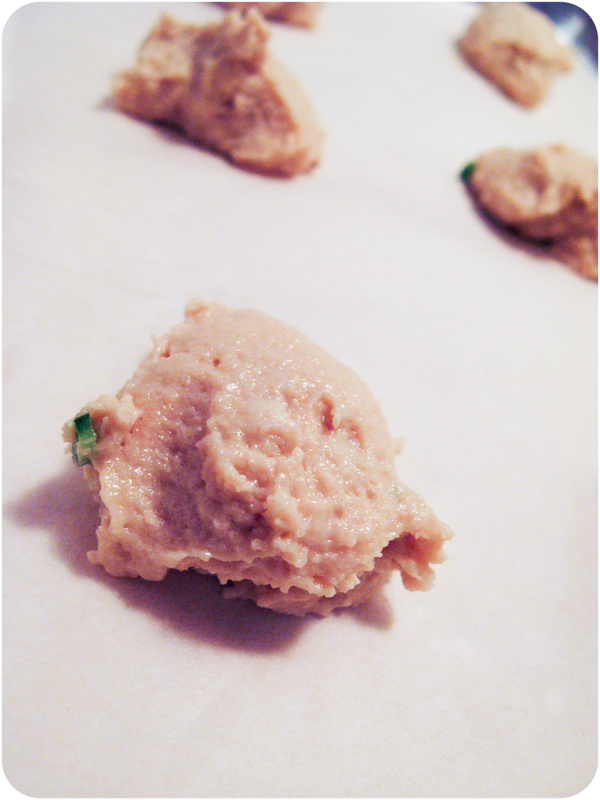 Bake them for about 12 minutes, remove and fully cool on racks. Combine the butter, icing sugar, lemon juice and honey. 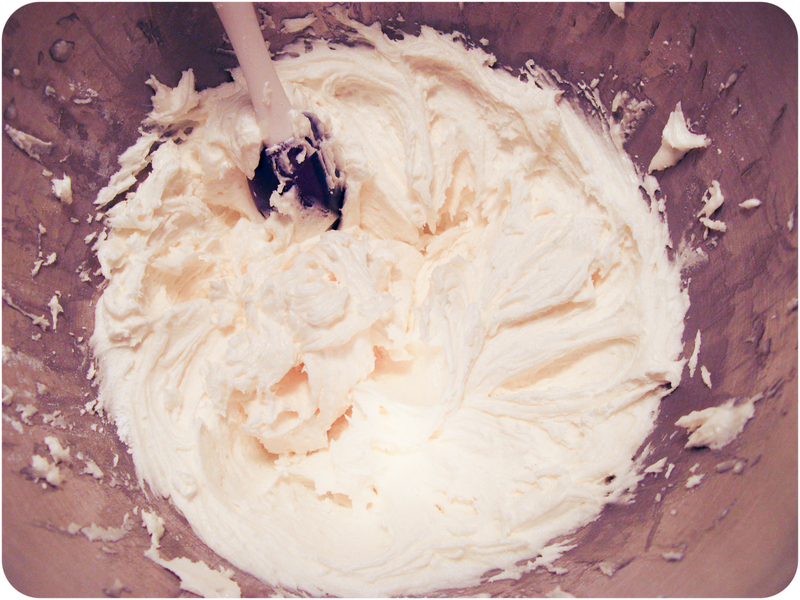 Mix until fluffy and butter-cream-y. I put mine in a piping bag for ease of delivery. This is a wonky looking one. 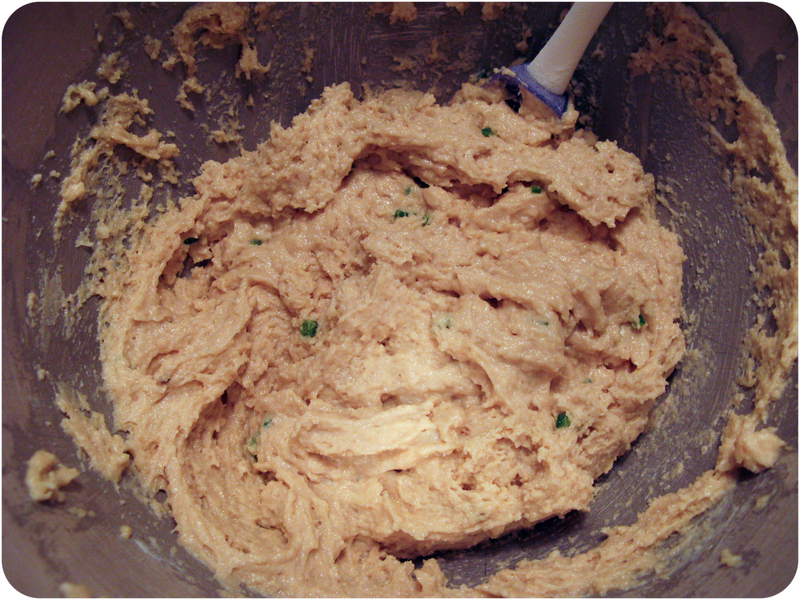 Squeeze a little bit of icing on one side, and gently sandwich together. This entry was posted on Sunday, July 17th, 2011 at 1:48 am	and tagged with Bake the Book, baking, blog, bread, brunch, butter, buttercream, cooking, cornbread, dessert, dinner, easy, food, food blog, healthy, jalapeno, jalapenos, lunch, recipe, recipes, side dishes, spicy, sweets, Whoopie pies and posted in Baked, Food, Savory, Sweets. You can follow any responses to this entry through the RSS 2.0 feed. Oh wow!! That is something very different… and delicious, in fact!! They’re REALLY good! And they totally pass as a dessert. So cool! I have GOT to try these. Definitely buzzed! 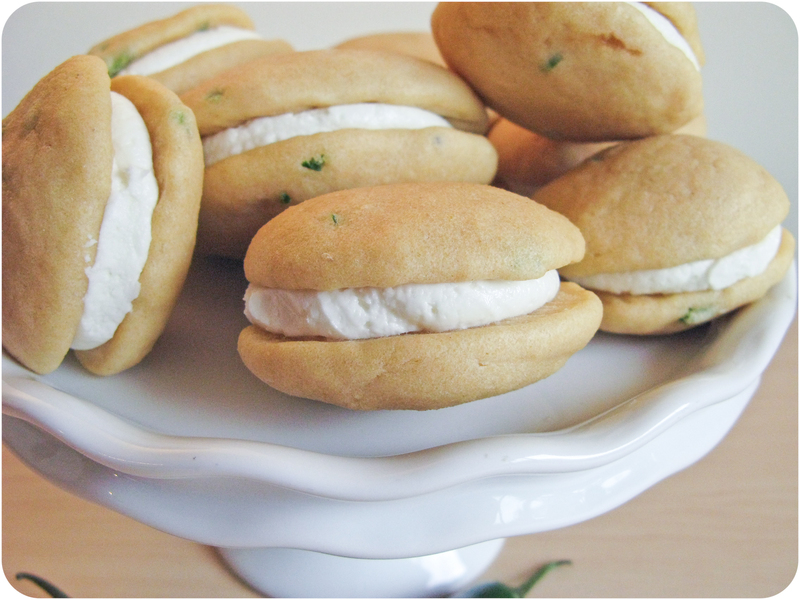 What a smart spin on the whoopie pie! What a great idea! Sounds amazing! Trying to think in my head if I have all the stuff to make these! Oh my, I never, ever would have thought of this but they sound awesome. I stumbled them, hope they get lots of views! This is a recipe worth flipping for. These sound awesome! This is a cool recipe. All of the elements works well together.